We feel so fortunate to have the founders of Firelands Montessori Academy, Peter and Roseann Larrow ,as our Educational Consultants. They bring over 30 years of education and teacher training on the Montessori Method. Peter and Rosann will help ensure a true Montessori Curriculum and Education for all students here at FMA. Katie Hayden grew up in Vermilion Ohio and after 12 years of living in Cincinnati she is excited to be back home. Katie holds a her Bachelor of Arts from the University of Cincinnati in Organizational Leadership as well as her Public Relations Certificate from UC. Katie received her Montessori teaching certificate from Greater Cincinnati Center for Montessori Education while working at Montessori Center Room. Katie also has a love of dance teaching for over 15 years. The past 5 years Katie taught and developed a dance program at Mercy HealthPlex Anderson which grew to over 100 students. Katie and her husband Matt have 3 daughters that will attend FMA. They love to spend time on the water, enjoying trips to the islands, and making lasting memories with family. 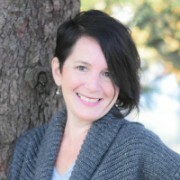 Chana Foley began her career with FMA in 2008. 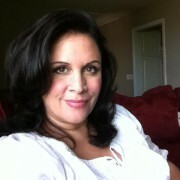 She brings many years of experience to her expansive role as Business Manager. Chana speaks fluent Swedish after having lived in Sweden for several years. She was raised in Findlay, Ohio and currently resides in Huron with her husband, their twin sons, and daughter who is a senior at Ohio University. Keelie has a Bachelors of Science in Early Childhood Education and a Masters of Art in Cross-Cultural and International Education from Bowling Green State University. 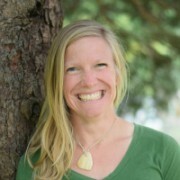 She is an artist, highly trained yoga teacher, and has a Montessori Infant/Toddler Diploma. 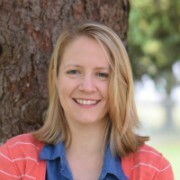 Katie came to FMA with a degree in Human and Family Studies. She has done a variety of roles including Teaching Aid since graduation. Katie creates a room full of love and trust in all she does with children and you can see it when she is with them. 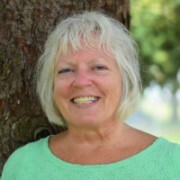 Janet Michel as been a teacher at Firelands Montessori Academy since 2000. She has a 3-6 Montessori Credential from Adrian Dominican Montessori Teacher Education Institute as well as a Bachelors of Art. 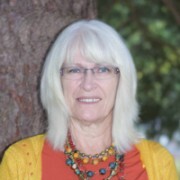 Janet is the mother of 3 children, all of whom attended FMA. She is also a photographer and takes the children’s school photos each year. She genuinely loves coming to work every day. Katie holds a Bachelor’s degree from the University of Mount Union and a Master’s degree from Kent State University. She received her Montessori training from Columbus Montessori Education Center. Prior to joining the staff at FMA, Katie worked as a Children’s Librarian and Administrator in a public library. Nicole holds a Bachelor of Science in Education from Bowling Green State University. Through BGSU’s inclusive childhood program, she received her license as both a P-3 Early Childhood Educator as well as a P-3 Early Childhood Intervention Specialist. Nicole is passionate about teaching, working with children, an having a positive influence on each of her students’ lives. She is very excited to be a part of the FMA team! Jacob has an Bachelor of Fine Arts with a concentration on art and technology from Ohio State University and Associates of Art from Columbus State Community College. He is currently pursuing a Masters degree in Information Technology from Southern New Hampshire University. Diane is the Spanish teacher at Firelands Montessori Academy. She is originally from the Willard/Attica Area and is a graduate from Bowling Green State University. She double majored in Elementary Education and Spanish and also completed a Master’s Degree in Administration. She taught in the Margaretta School System for 29 years and also spent a year at St. Peter’s School in Huron. She lives on a small farm in Berlin Township and enjoys gardening, her CASA kids and her little brother Diego. She also volunteers for Erie Metro Parks and the Make a Wish Foundation. Haley Schaffer has been singing all her life and has worked as a musician for the past 10 years. She bas performed for various audiences both locally and regionally, and in doing so, has been able to hone her craft and unique musical style. Haley believes in the method of improvisation and often utilizes it in the classroom. Calling upon the innate connection that we all have with songs, chants, rhythm and movement, Haley helps connect children to their own creativity and spontaneity through a combination of music and a bit of silliness, providing a truly joyful and educational experience.